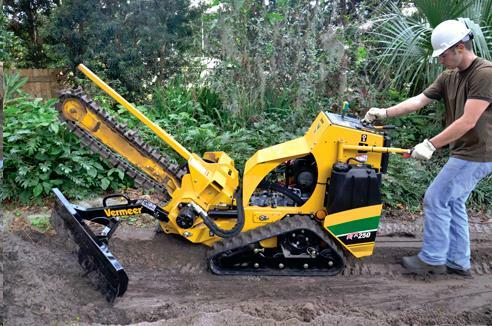 The newest entrant in the Vermeer pedestrian trencher lineup. 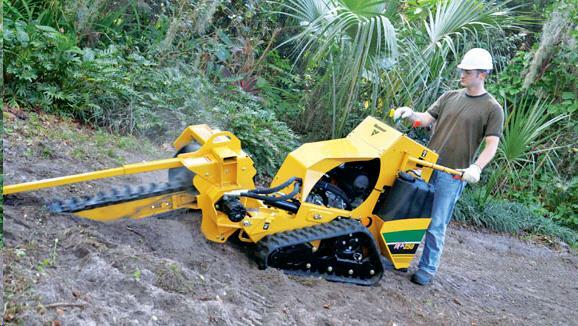 The RTX250 features a 25 hp electronic fuel-injected (EFI) engine and a slender profile which allows the unit to move through narrow yard gates. DIMENSIONS (LxWxH)........... 96" x 35" x 48"
6" TRENCHING WIDTH ADJUSTABLE TO 42" DEEP. 25hp KOHLER GAS ENGINE WITH 7.5 gal FUEL CAPACITY. 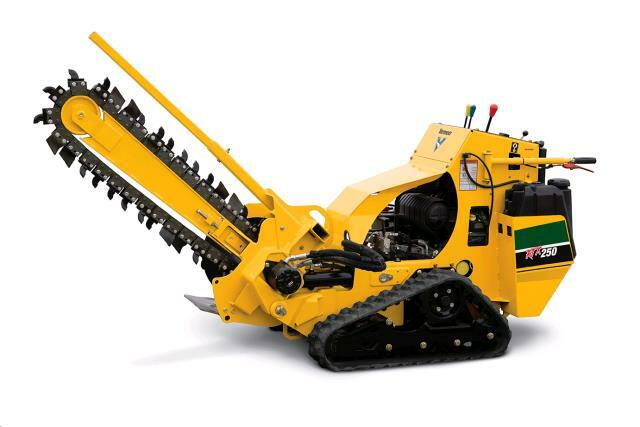 ** Please call us for any questions on our rtx250 vermeer track trencher rentals in Fairview Heights IL.